In case it’s not immediately clear, those are GIANT PILES OF YARN. 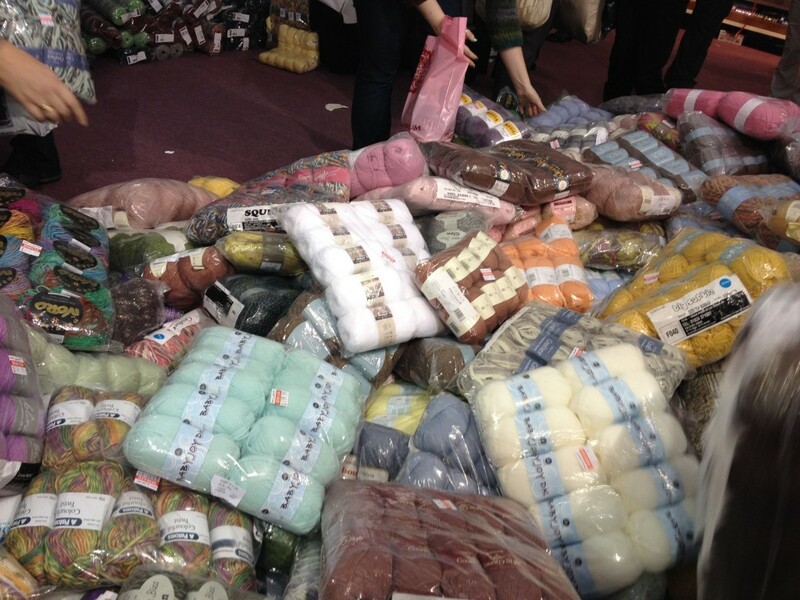 Giant piles of discounted yarn! I had to stop myself from diving in. Where is this knitting Elysium, you may be asking? 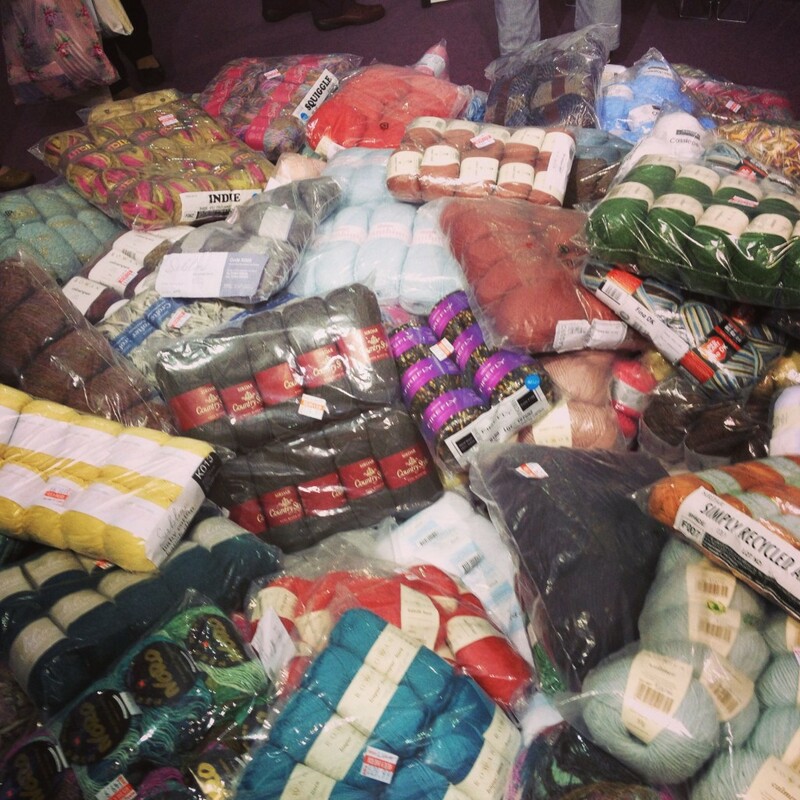 Why, at the London Knitting and Stitching Show, of course, which took place over this past weekend. It was so incredible, I had to go twice. On Friday, I went to the show with one of my newfound friends from sewing class and we had a blast. There’s something really fun about walking around a convention center filled with yarn, fabric, needles, thread, beads, and other crafting supplies with another person who also finds those things exciting and beautiful. Together, we wandered around the cavernous Alexandra Palace and admired the many stands full of lovely textiles, yarns, and supplies. We also took two workshops: a cross-stitch sampler class, and a paper cutting class. Turns out, cross-stitch is pretty easy (but not that interesting, in my oh-so-humble opinion), and paper cutting is HARD, especially for someone like me with dangerously poor knife skills. But there’s something so invigorating about learning a new skill, especially one that involves using your hands to create something pretty. 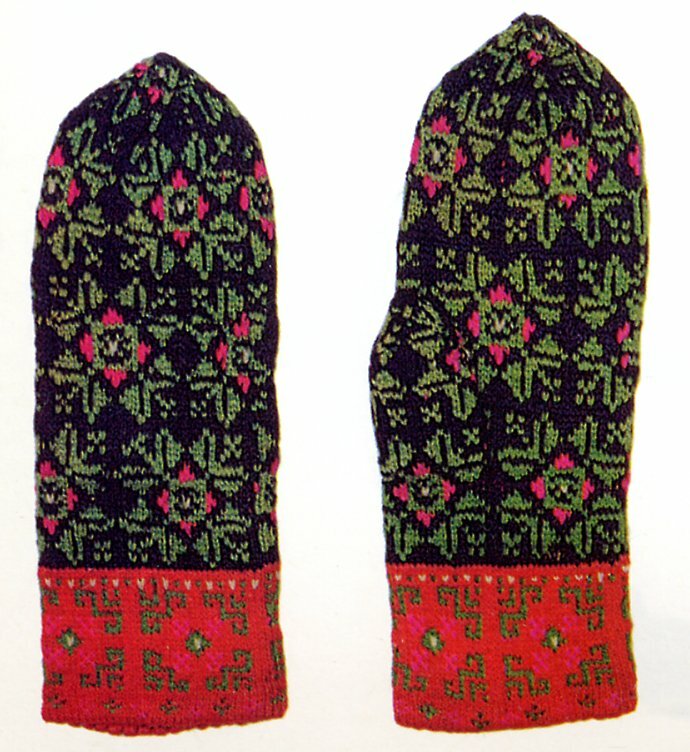 But I figured the Latvian mitten pattern was a bit above my pay grade (I still need to learn how to do intarsia), so I passed them up. Sigh. As the weekend went on, I found myself thinking a lot about the show and a few of the items I had passed up, so on Sunday, I took a shuttle bus full of old ladies back to Alexandra Palace and did some more shopping. This time, I stocked up on beautiful tweed from Magee of Donegal (I’m planning on making a quilt), discounted books and Liberty print items, and a pack of deeply discounted Rowan Cashsoft yarn. I left feeling satisfied and super energized about my various knitting projects. 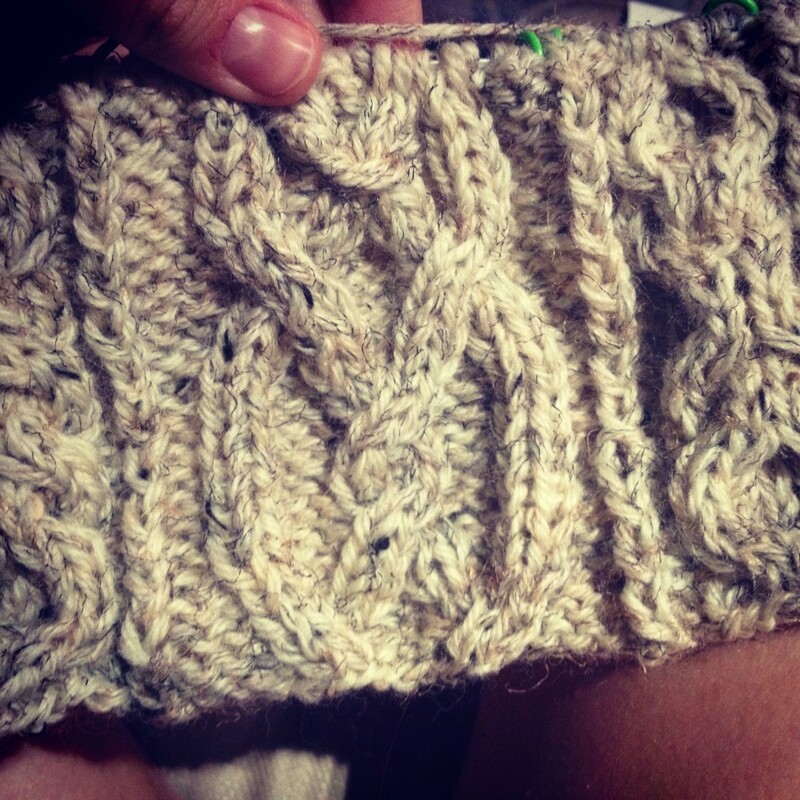 Right now, for instance, I’m working on an afghan with a cool “lovers’ knot” pattern. I really look forward to working on it at the end of each day. What can I say? I’m a knitting nerd. All those cables are a pain to make, but they look so cool! * No one says that. But let’s make it a thing. This entry was posted in Crafts, London and tagged crafts, knitting, London, Rowan, UK on October 15, 2013 by Stephanie.